Park City, UT — Sundance Institute announced today the films selected for the U.S. and World Cinema Dramatic and Documentary Competitions and the out-of-competition NEXT <=> section of the 2013 Sundance Film Festival, January 17-27 in Park City, Salt Lake City, Ogden and Sundance, Utah. 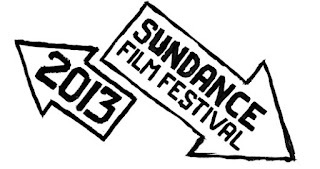 For the 2013 Sundance Film Festival, 113 feature-length films were selected, representing 32 countries and 51 first-time filmmakers, including 27 in competition. These films were selected from 12,146 submissions (429 more than for 2012), including 4,044 feature-length films and 8,102 short films. Of the feature film submissions, 2,070 were from the U.S. and 1,974 were international. 98 feature films at the Festival will be world premieres. In addition to those announced today, the Festival presents feature-length films in the Spotlight, Park City at Midnight, New Frontier, Premieres and Documentary Premieres sections. Those announcements, as well as selections for the Short Film section, are forthcoming. On Day One, January 17, 2013, the Festival will screen one narrative film and one documentary from both the U.S. and World Cinema competitions, as well as one shorts program. A selection of films from the 2013 Festival will also be presented at the second Sundance London film and music festival, April 25-28 at The O2. Blackfish / U.S.A. (Director: Gabriela Cowperthwaite) — Notorious killer whale Tilikum is responsible for the deaths of three individuals, including a top killer whale trainer.Blackfish shows the sometimes devastating consequences of keeping such intelligent and sentient creatures in captivity.